Lang Foam Kneeling Pad - Medium (5-Pack). Size: 10'' x 19''. Closed cell foam laminated with orange in the middle of two black layers. Will not breakdown under harsh chemicals, including oils used in the automotive/aircraft industry. Lang Foam Kneeling Pad is an aid for comfort and cleanliness when kneeling, sitting or lying on hard surfaces such as garage or home floors, gardens, patios, driveways, etc. The fine cell structure resists grease, oil and dirt. Easily cleaned with water, lightweight, and easy to transport, store, or hang up. Lang Foam Mechanics Floor Mat. Closed cell foam laminated with orange in the middle of two black layers. Size: 15-1/2'' x 38-1/2''. Will not breakdown under harsh chemicals, including oils used in automotive/aerospace industry. Sold in 5-packs only. Lang Foam Kneeling Pad - Medium (5-Pack). Size: 10'' x 19''. Will not breakdown under harsh chemicals, including oils used in the automotive/aircraft industry. Easily cleaned with water, lightweight, and easy to transport, store, or hang up. The 1169-O Lang Foam Kneeling Pad - Medium (5-Pack) is one of thousands of quality tooling products available from MRO Tools. 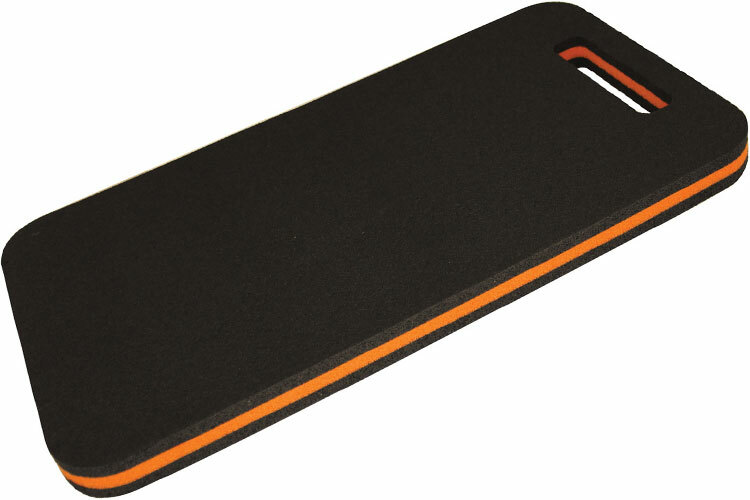 Please browse Lang Mechanic Mats and Kneeling Pads for tools similar to the 1169-O Lang Foam Kneeling Pad - Medium (5-Pack). 1169-O Lang Foam Kneeling Pad - Medium (5-Pack) description summary: Lang Foam Kneeling Pad - Medium (5-Pack). Size: 10'' x 19''. Will not breakdown under harsh chemicals, including oils used in the automotive/aircraft industry. Easily cleaned with water, lightweight, and easy to transport, store, or hang up. Quantity discounts may be available for the 1169-O Lang Foam Kneeling Pad - Medium (5-Pack). Please contact MRO Tools for details.